A volunteer firefighter on vacation in Myrtle Beach, S.C., found himself in the middle of the action when he suddenly became the live cameraman of a mass shooting. Bubba Hinson streamed the violent incident on Facebook Live. In the video, Hinson yells "Multiple people down!" as a gunman open fired and sent a crowd of people running in multiple directions early on Sunday. 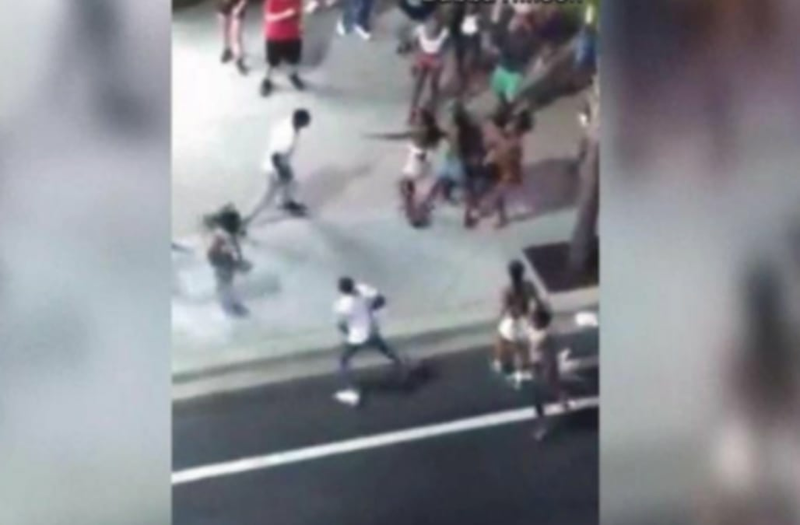 According to Myrtle Beach Online, this was one of three shootings that occurred over the weekend in Myrtle Beach, leaving eight people wounded in total. "If you're watching this, stay away from Fourth Avenue North and Ocean Boulevard," Hinson said while filming. "There's multiple people been shot!" He said he started filming in the first place because he thought the crowd was filming. Then, they started fighting, and it quickly escalated to gunfire. Fox 8 reports that the shooter pulled out his gun, fired then carjacked a vehicle. He was eventually shot by a security officer. Seven people including the gunman were taken to the hospital with non-life threatening injuries. Police say the gunman's name will be released once he is medically cleared to leave the hospital and the proper warrants are served.